With a hypnotic flow and menacing microphone demeanor that echoes his mentor 21 Savage, 18-year-old SG Tip turns heads in the ATL scene. 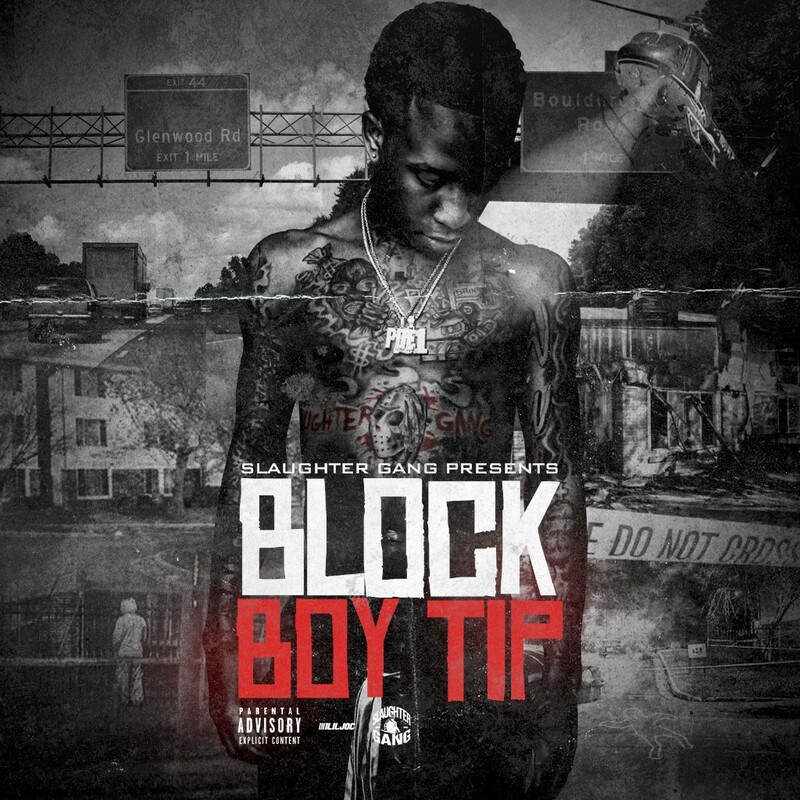 Rolling up with his second quality mixtape in less than a year, the Slaughter Gang affiliate shares Block Boy Tip. A ten-track pack of downtempo trap bangers, Block Boy Tip is a compelling underdog story, ranging from Tip’s troubled youth to his current success. 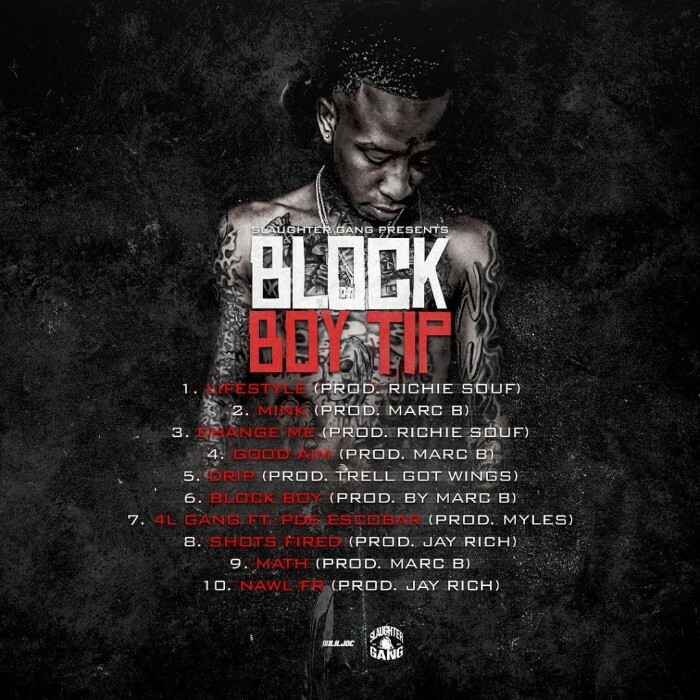 Brimming with headphone-ready trap production from Richie Souf, Trellgotwings, Tre Trax, J Rich, DJ Marc B (21 Savage’s Official DJ), and more, Block Boy Tip is a promising catchy chronicle of Tip’s lightning quick come-up. Boasting low-key and street-savvy bangers like the HotNewHipHop-premiered “Mink Coat,” Block Boy Tip arrives via StreamCut. SG Tip is a new rapper that hails from East Atlanta, Georgia. He has very close ties to Slaughter Gang and PDE, dating back to when he was 11 to 12 years old. At the age of 15, Tip had several legal issues which landed him in juvenile hall and caused him to miss his latter years of high school. After his release from juvie, Tip hit the road with 21 Savage and started to soak up game from the rising rapper. Less than one year ago, after coming off tour with 21, Tip began his career as an artist and has since quickly gained a following with great expectations for his upcoming music. His debut mixtape, NWA, a collaboration project with Tip and Pierre Bourne, dropped in October 2017. Accompanying NWA were visuals “Looking For Me“, ”Gangland” and a single “No Brains“ produced by Metro Boomin. NWA laid the foundation for Tip’s career and his follow up Block Boy Tip is looking to make big waves upon its release March 2018.